Environmental issues are creating a very serious threat to both animals and plant. Although the main reason is excessive use of plastics, but people still uses it in their daily lives. 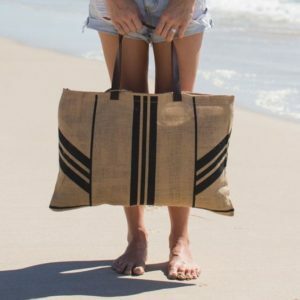 At Sara International, we have taken up the challenge to help people discard plastic shopping bags and make them start using Jute Shopping Bags. We believe that awareness of these environmental problems, as well as, the usefulness of of our products will bring about a revolutionary change in the world. Affordability is one of the crucial factors by which experts at Sara International aims to change this basic lifestyle habit among the customers. It is the most sustainable alternative to all kind of shopping bag. This can be easily carried as these bags can be easily washed and reused for a longer period of time. It is economical and it has multiple uses. Shifting from plastics to jute is one of the effective steps towards a healthy environment. Sara International, based out of Kolkata, India ranks among the premier jute bags exporters & jute manufacturers. Our expertise lies in the jute bag manufacturing process. The jute textile that we use is known all over the world for its top quality. We are in the wholesale business, supplying jute items to fabric shop & other sellers. Our expertise extends to processing of raw cotton as well. We continue to maintain our reputation as one of the best cotton suppliers & eco bag supplier. We work with the aim of popularizing environmental friendly products like jute, cotton & canvas. At Sara International, we believe that we shall play a major role in bringing down the uses of plastic & other ecologically harmful materials. We also supply jute fibre, as well as, cotton fabric which are of famous for their top notch quality. So what are you waiting for? 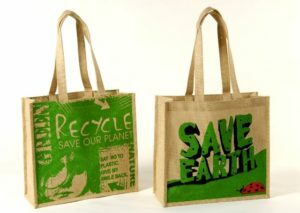 Order from us now to get jute shopping bags & other environmental friendly products. For further information, please feel free to contact us.